Improving on its predecessor, the original Mic Mechanic, Mic Mechanic 2 is a compact vocal toolbox in a easy-to-use pedal. 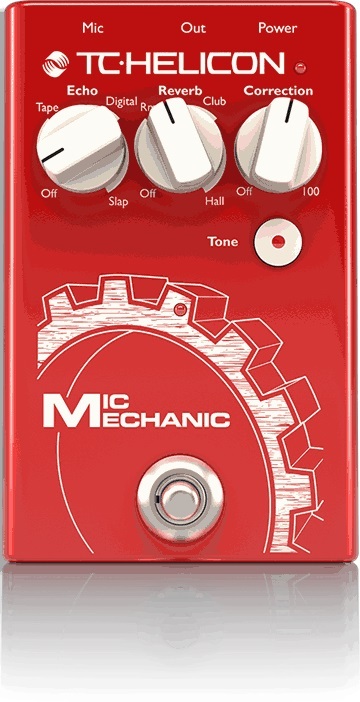 The Mic Mechanic 2 from TC Helicon is your personal sound engineer. It provides time-tested tone and effects you can take anywhere to always sound your best. Voltage: 9VDC (not included) or 4 AAA batteries (not included) 300mA draw. Dimensions: 3.5" x 5.4" x 2.3"